A great day out on the sea. 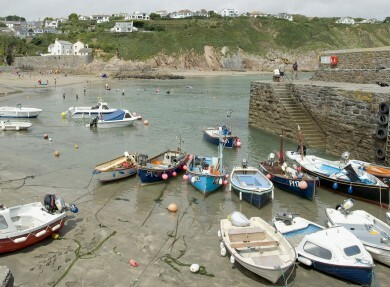 Nestled in a valley just outside St Austell is Gorran Haven - a quintessential fishing village with an unspoilt cove at its heart. Stunning sandy shores and calm turquoise waters - Gorran Haven is one of the best beaches in Cornwall to take the plunge. Popular with swimmers, kayakers and anglers, the crystal clear water makes for a great family day out on the sea. The village is embraced by Dodman Point, the highest headland on the South Coast standing 400ft above sea level. The Dodman loop is a beautiful five mile walk - passing Iron Age settlements, Victorian granite crosses and a plethora of plants and wildlife. Gorran Haven has great facilities including a local pub, shop and car park. The accessibility. The slipway to the beach is great for both pushchairs and wheelchairs, so the whole family can enjoy the beach – including the dog! Delving beneath the deep blue. There are great snorkelling opportunities around Cadycrowse Rocks.